Anyone else completely slaying Monday?! I always feel like I need extra motivation on Mondays to really get going and tackle the day. 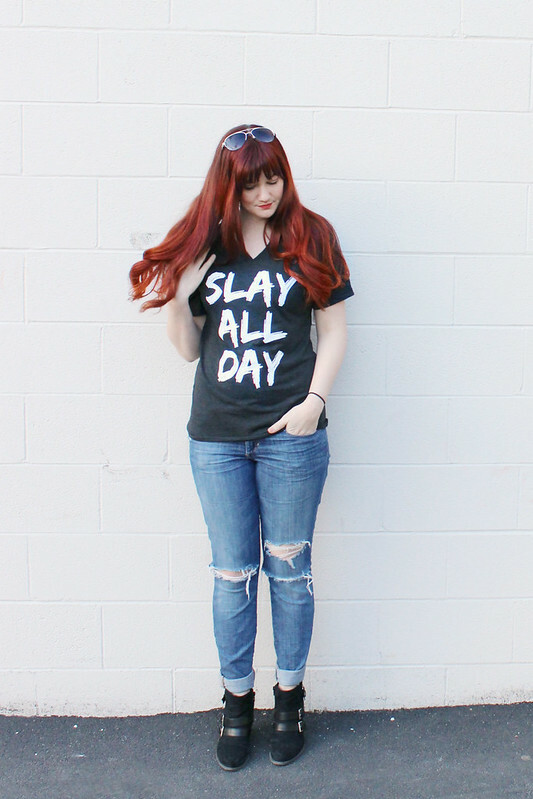 This Slay All Day graphic tee does the trick! 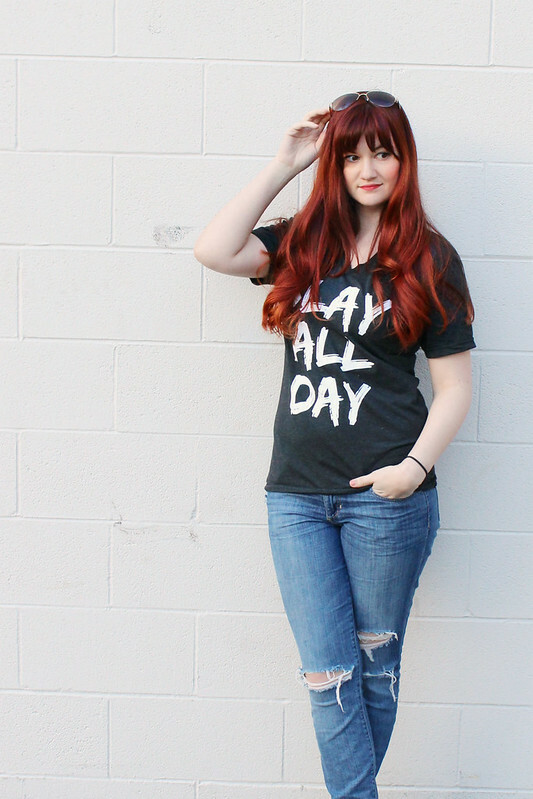 The newest addition to our online shop makes me feel like I can tackle the day like Queen Bey and get so much stuff done! I mean...this girl is trying to build an empire here! Click read more to see how I styled it. 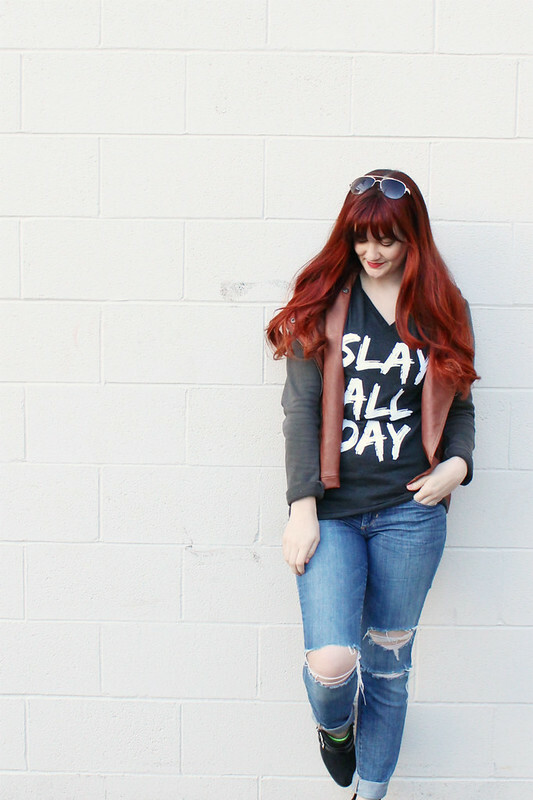 Since our Slay All Day tee is supposed to make you feel bold and empowered, I wanted to style it in a way that was a little more edgy. 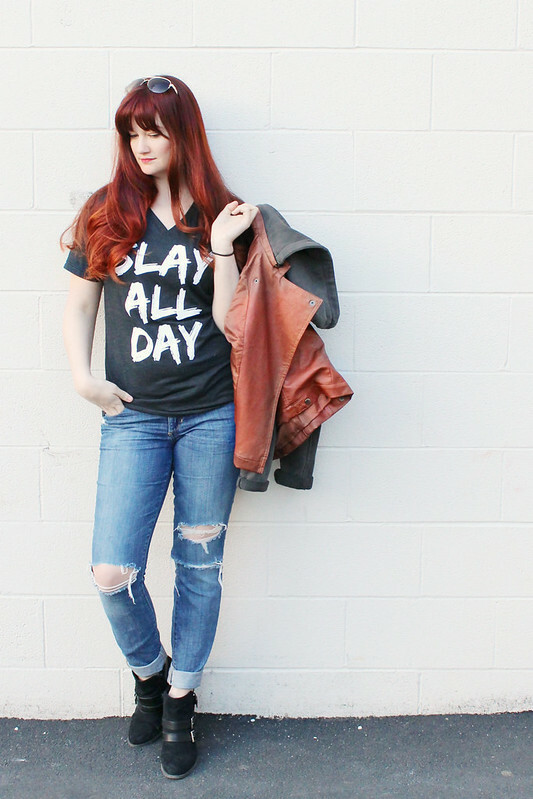 I layered my favorite charcoal and brown vegan leather jacket over the tee. I love the way the rich muddy brown color pops against the black tee. They don't make this jacket anymore, but I linked a few incredibly similar ones below. 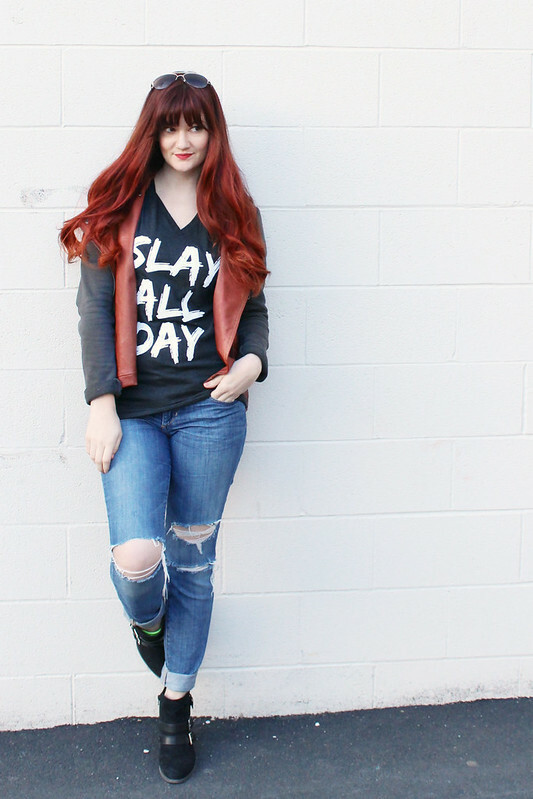 Keeping with the edgy styling, I added my favorite pair of distressed skinnies, some black booties, and the perfect aviators to round off the look. I feel like I look tough, but feminine. Which is exactly how the shirt is supposed to make you feel! I think this last photo is so funny. It sort of captures what wearing an empowering shirt can do for you and your overall swagger. I feel like I'm saying...."oops, paparazzi caught me mid-Queen Bey hair flip". Haha. I just love that a great piece of clothing can completely change your mood and self-esteem. 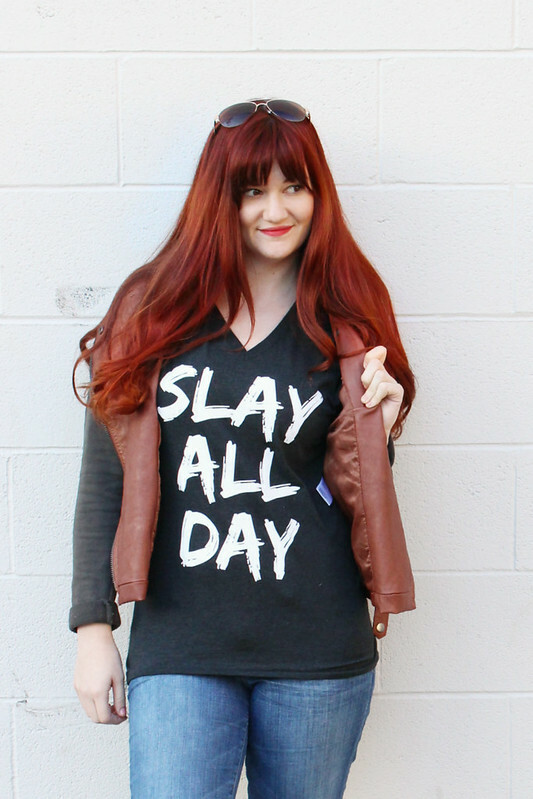 This shirt definitely makes me feel like I can slay all day.